Diamond Weight: 1 ct. tw. 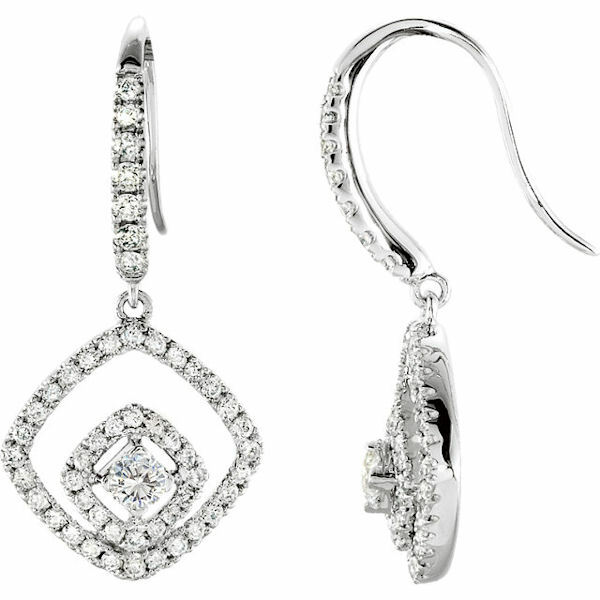 14kt white gold, diamond, dangle earrings. The diamonds are about 0.75 ct tw, SI1-2 in clarity and G-H in color. We purchased our two wedding bands with engraving. They are beautiful and everything we were hoping for. Easy on-line process. Great email communication. Quick delivery of product. 100 Satisfied. Fast service/delivery exactly what I ordered. A very good experience! !